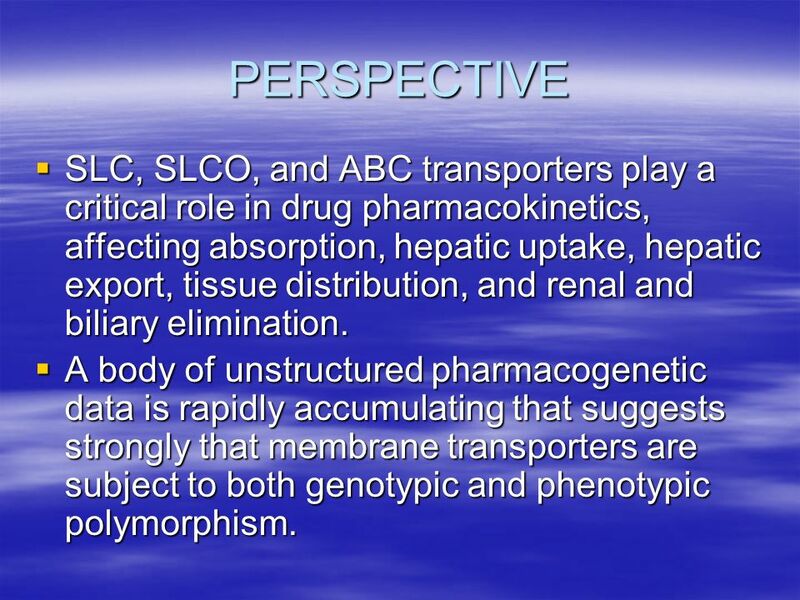 21 PERSPECTIVE SLC, SLCO, and ABC transporters play a critical role in drug pharmacokinetics, affecting absorption, hepatic uptake, hepatic export, tissue distribution, and renal and biliary elimination. 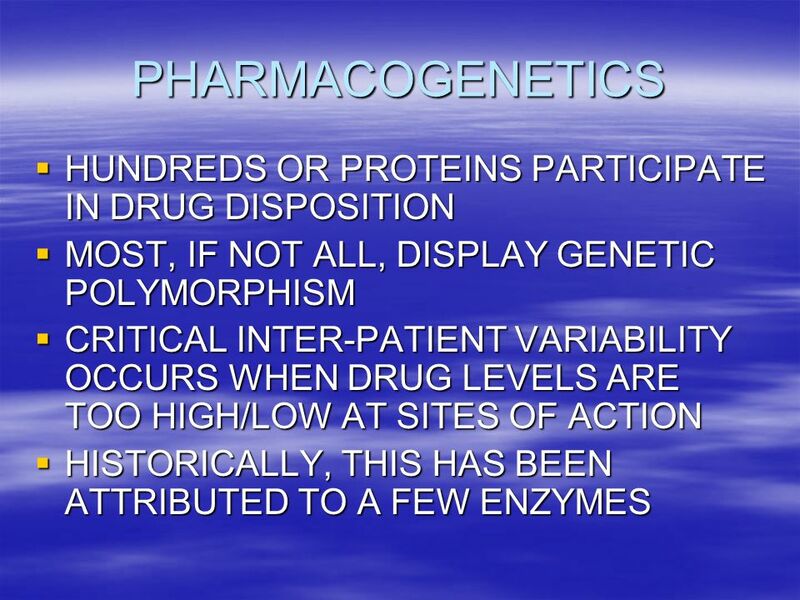 A body of unstructured pharmacogenetic data is rapidly accumulating that suggests strongly that membrane transporters are subject to both genotypic and phenotypic polymorphism. 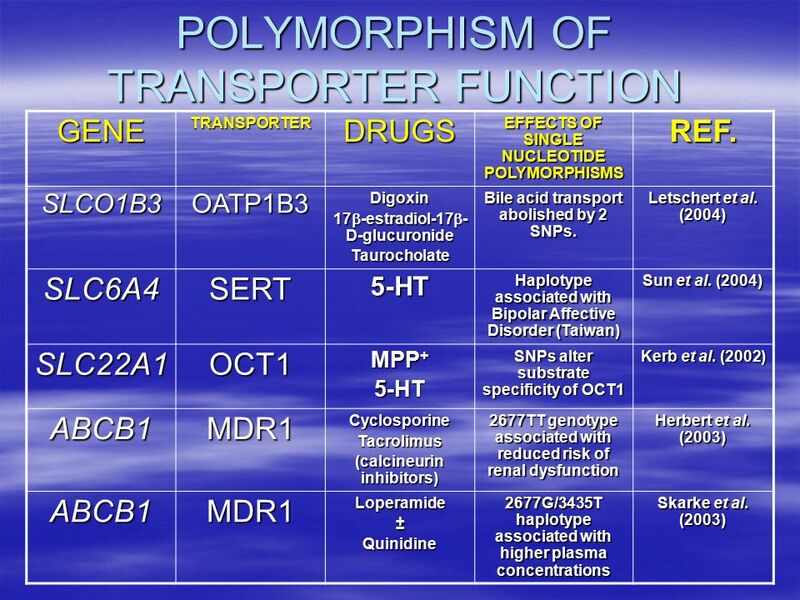 22 PERSPECTIVE Genetically-determined variability in drug and hormone transporter function may explain major inter-patient variability in drug pharmacokinetics and susceptibility to drug resistance and toxicity. 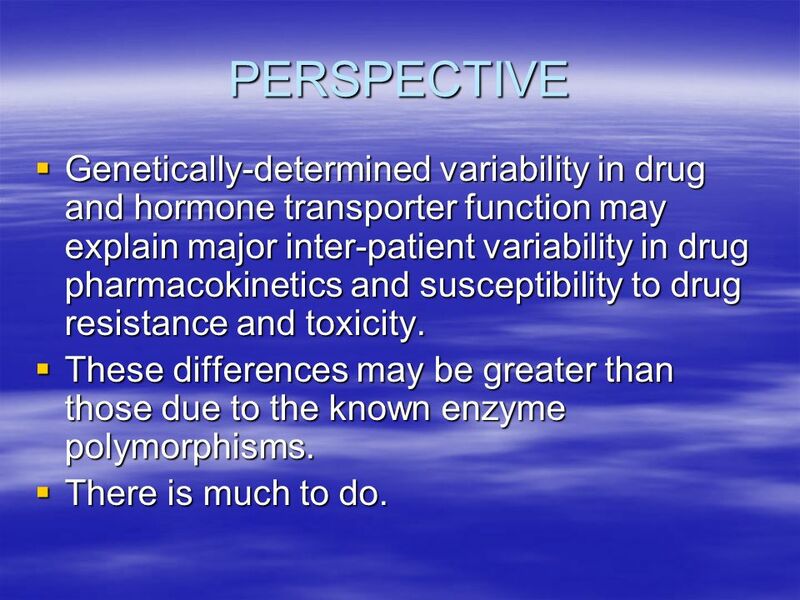 These differences may be greater than those due to the known enzyme polymorphisms. 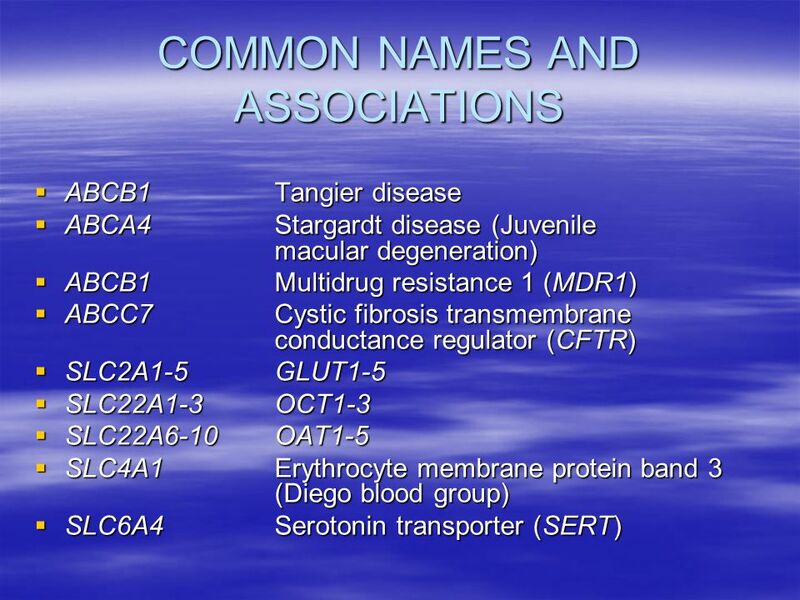 There is much to do. 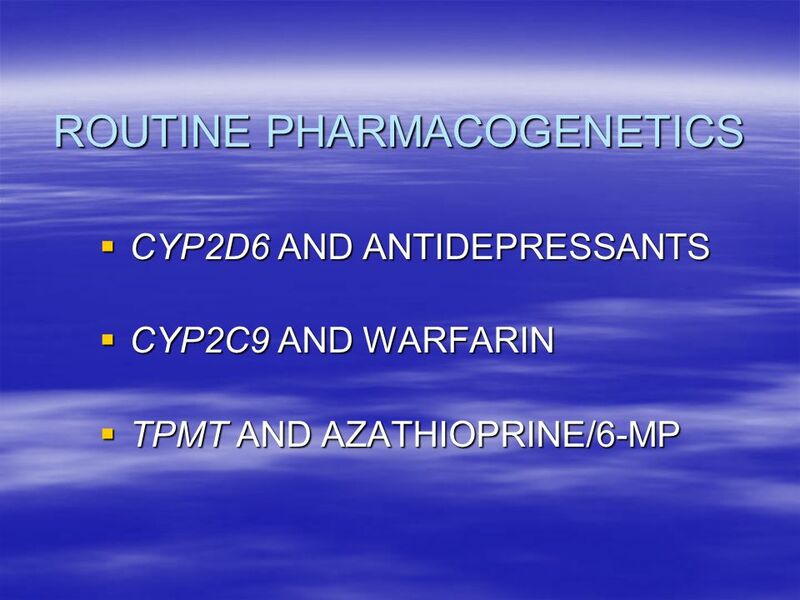 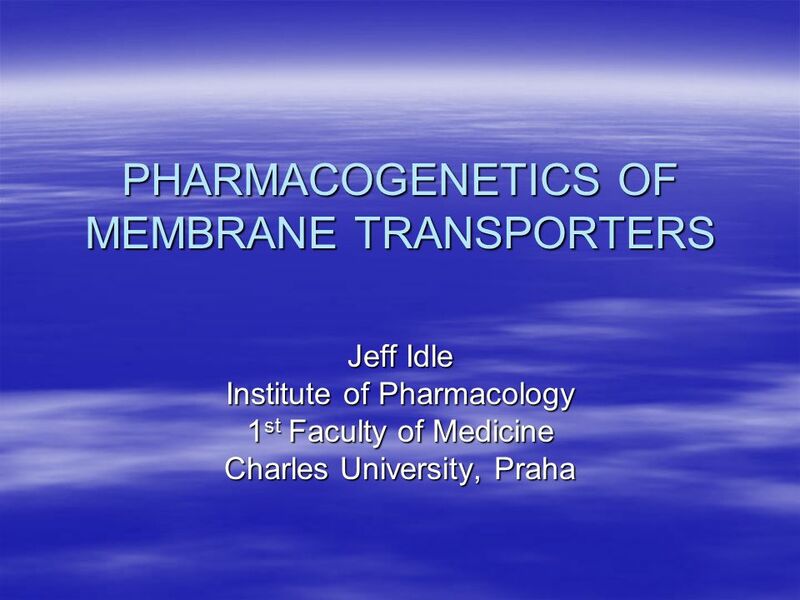 Download ppt "PHARMACOGENETICS OF MEMBRANE TRANSPORTERS"
Pharmacology for Anesthesia I Introduction. 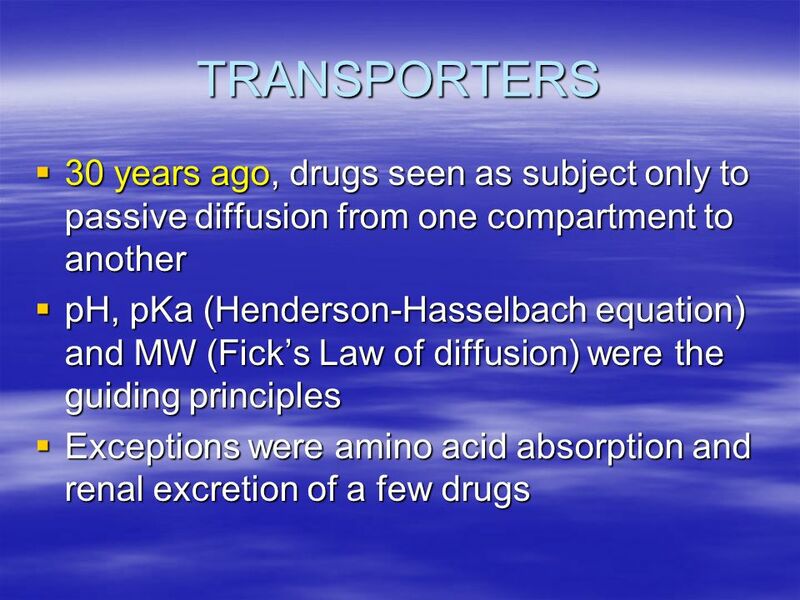 What is a Drug? 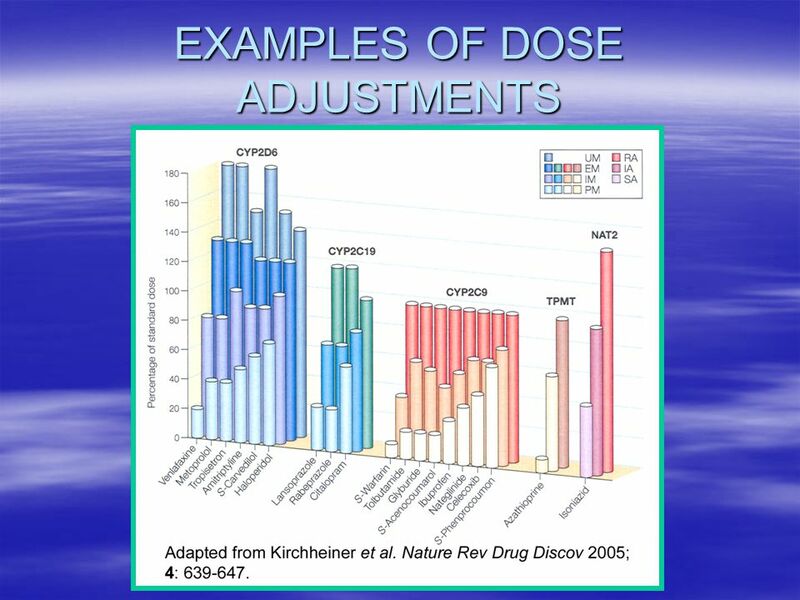 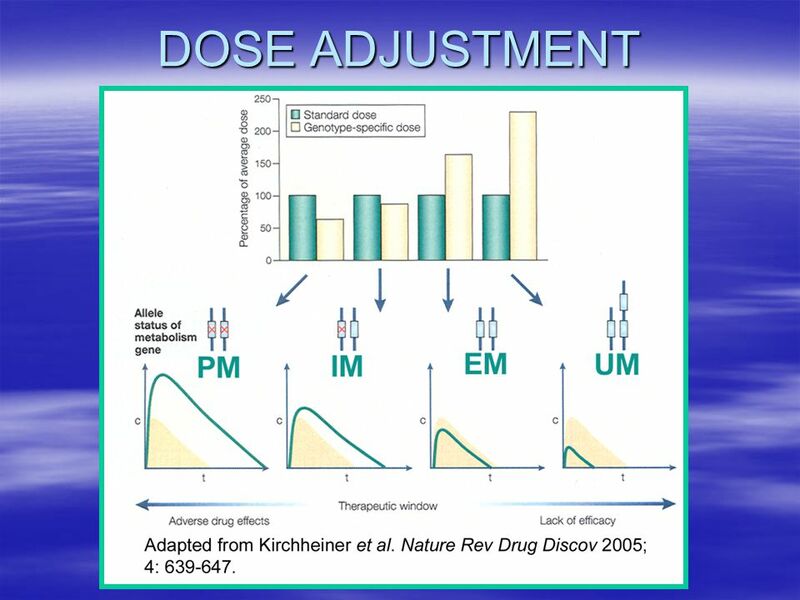 Pharmacokinetics (PK) ®The study of the disposition of a drug ®The disposition of a drug includes the processes of ADME -  Absorption  Distribution. 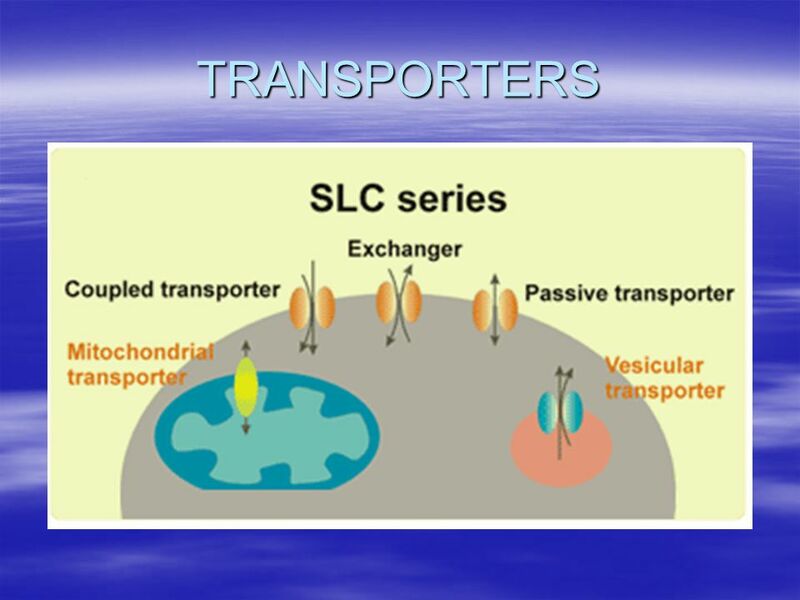 Chapter 8 Transporters and Active Membrane Transport Principles of Membrane Transport Chapter 8 Transporters and Active Membrane Transport Principles of. 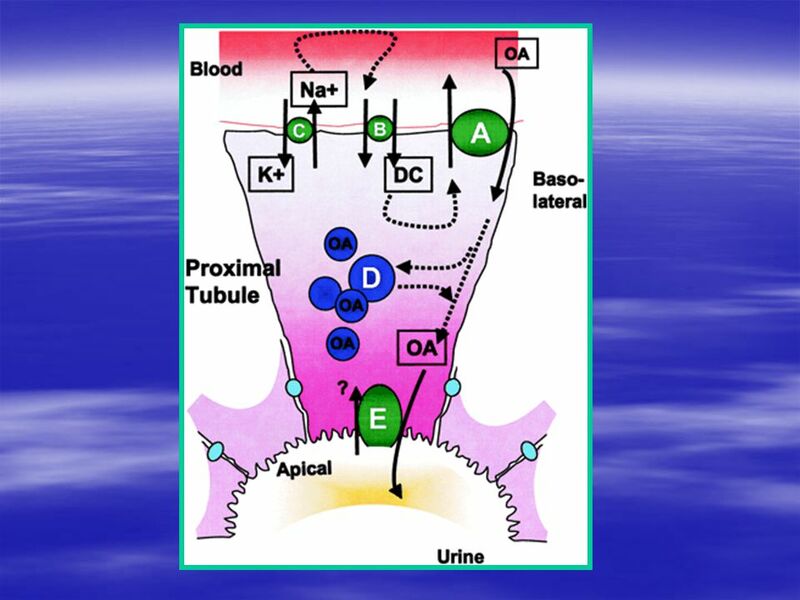 Physiology Blood Buffer System Behrouz Mahmoudi. 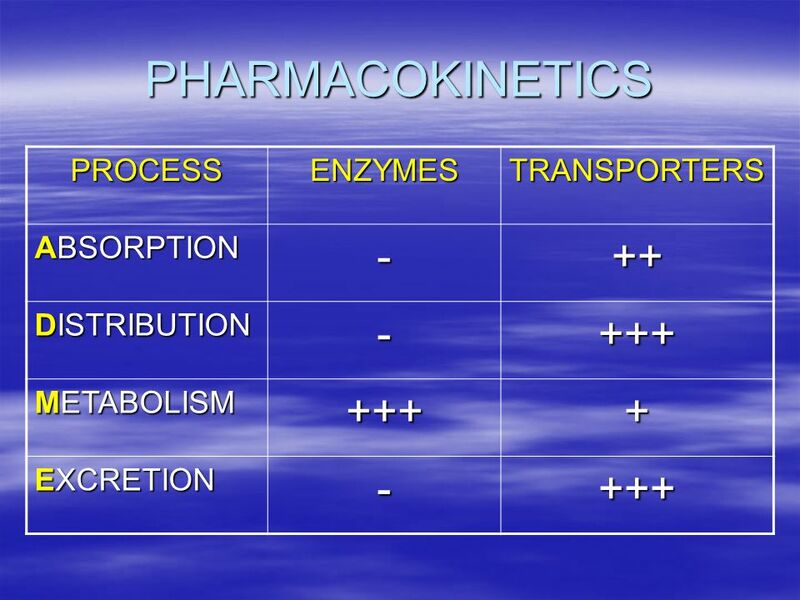 Factors Affecting Distribution and Metabolism. 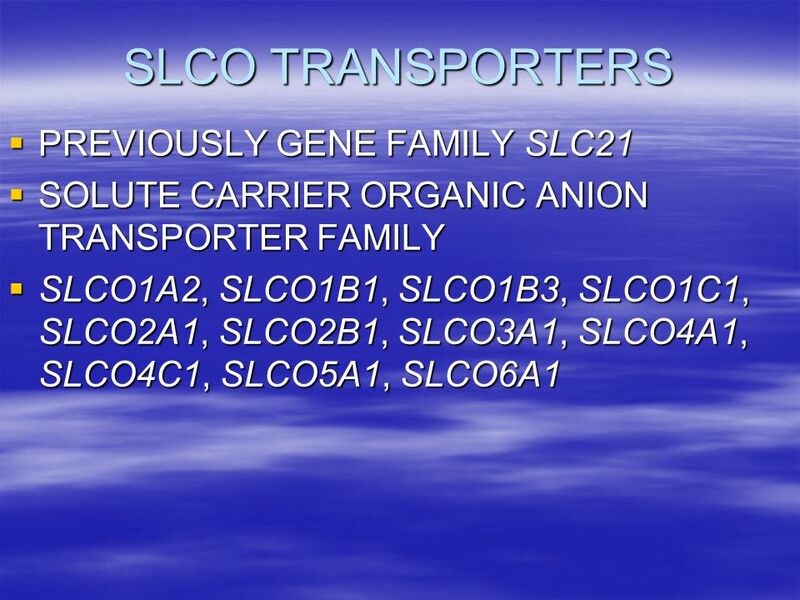 Chemical Factors Lipophilicity Structure Ionization Chirality. 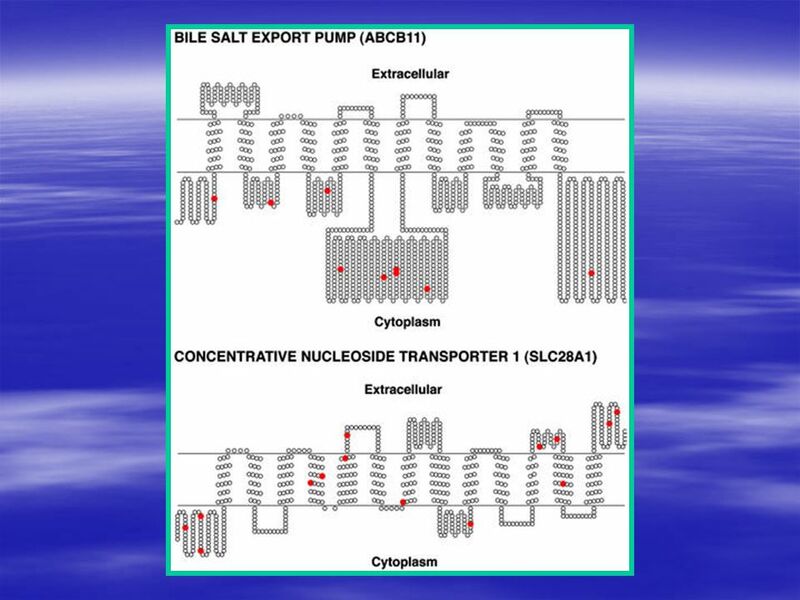 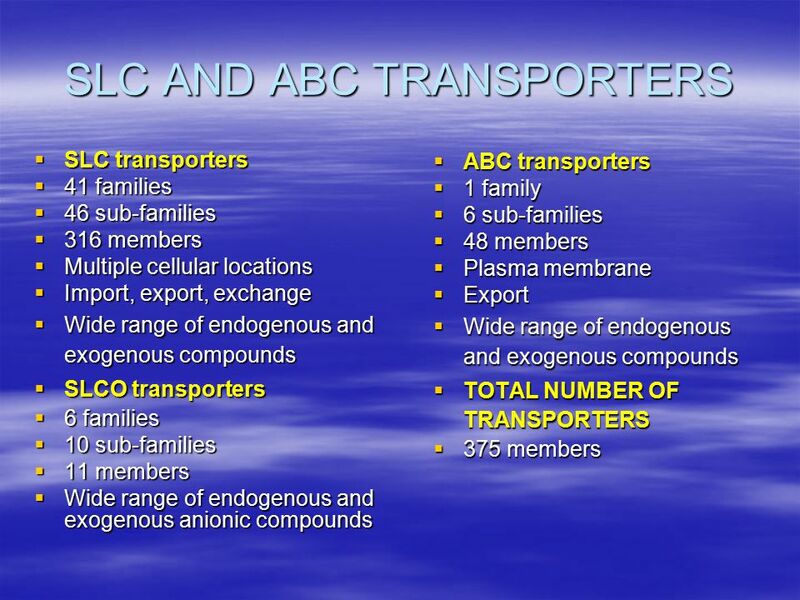 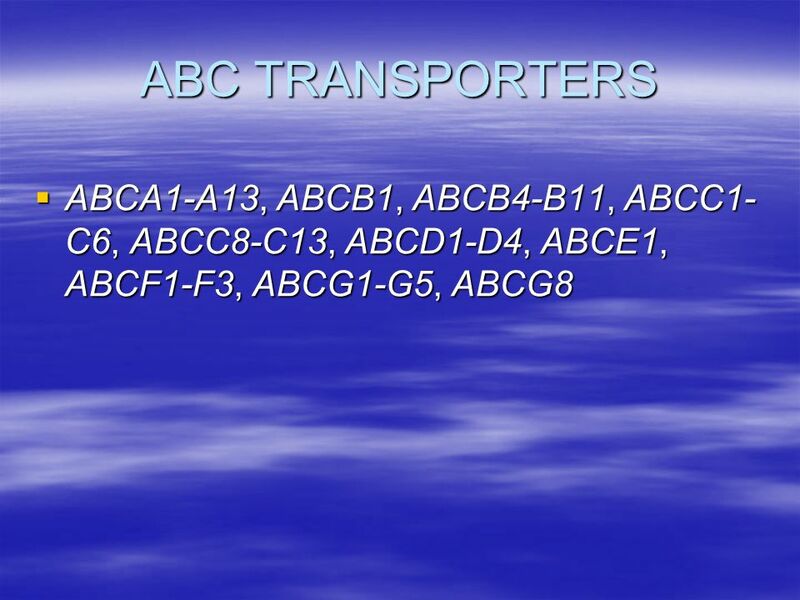 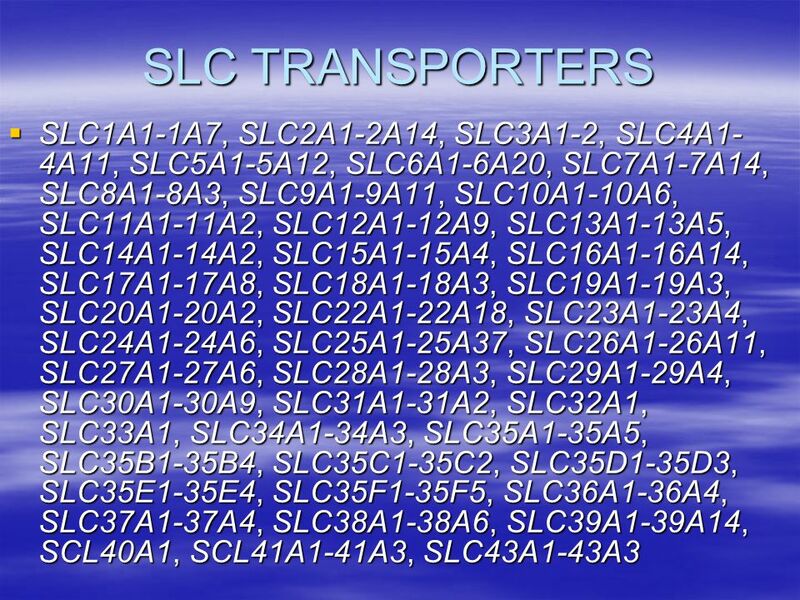 A General Overview The primary function of transporters is to transport endogenous substances, such as hormones, glucose, and amino acids; however, many. 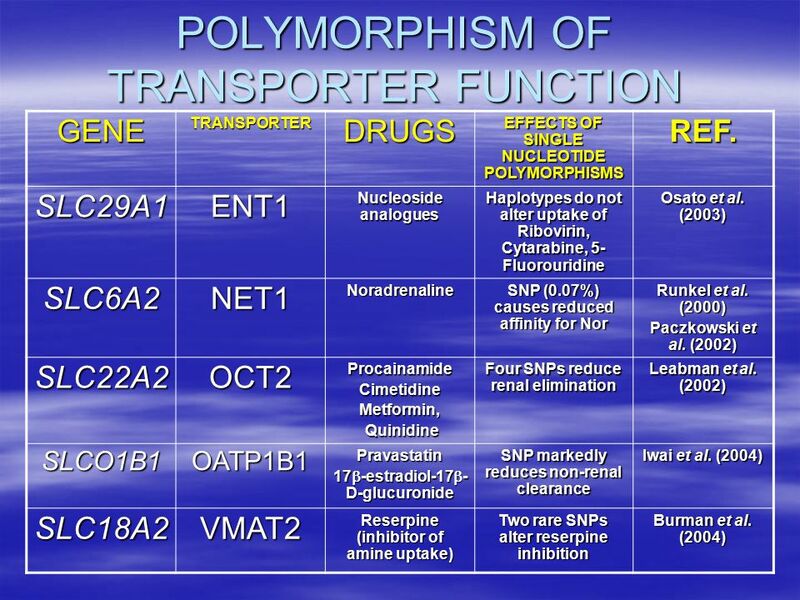 Post-mortem SNP analysis of CYP2D6 gene reveals correlation between genotype and opioid drug metabolite ratios in blood Levo et al. 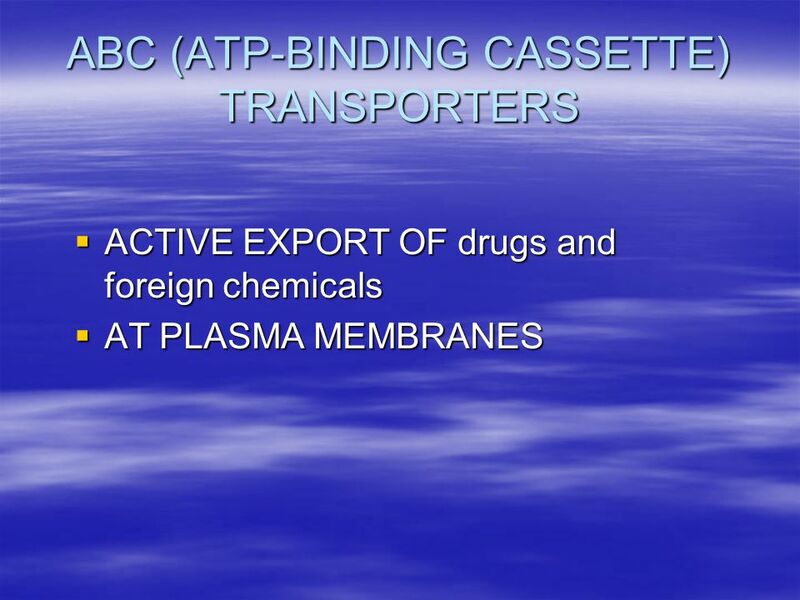 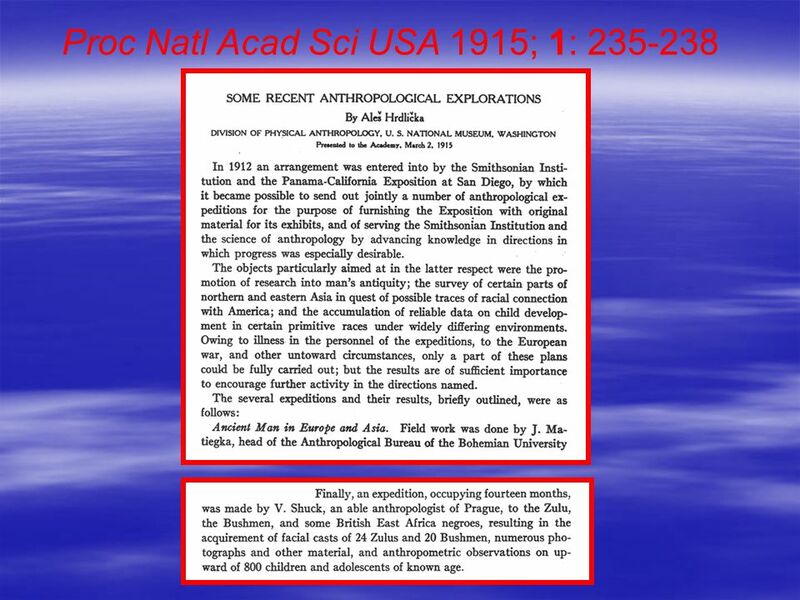 Forensic Science International. 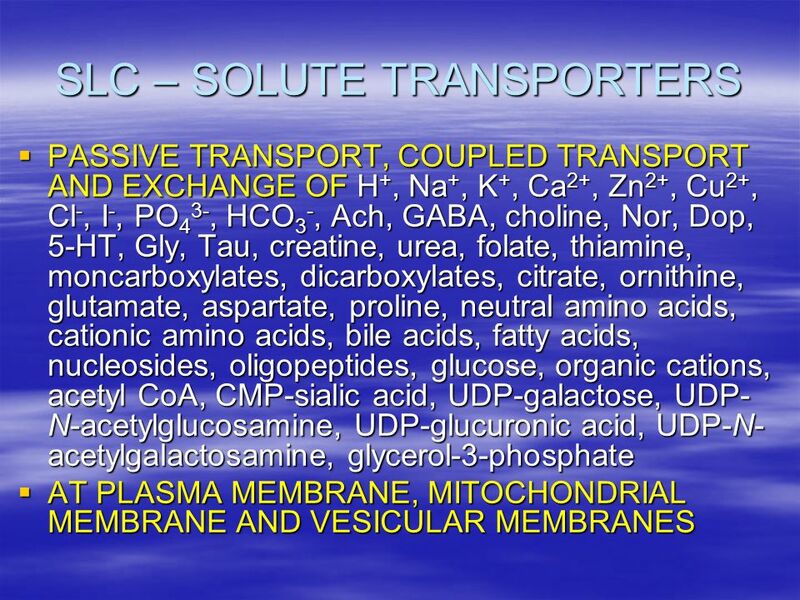 Principles of Acid-Base Physiology Mazen Kherallah, MD, FCCP Internal Medicine, Infectious Disease and Critical Care Medicine.